At Heavy Equipment Colleges of America, we believe that the future still lies within skilled trades. That’s not just an idle guess, either, but one that is backed up by information obtained from the Bureau of Labor Statistics (BLS)*. Crane operators are projected to play an increasingly important role in society throughout the coming years. If it is reliable employment you are seeking, opting for career training in heavy equipment and crane operations is a good choice to make. We strive to build the best curriculum for our students. Our programs are designed to help students learn a wide variety of skills through both practical experience and textbook information. At our locations, you get the advantage of hands-on experience without losing the valuable information that textbooks and classroom discussions can bring. 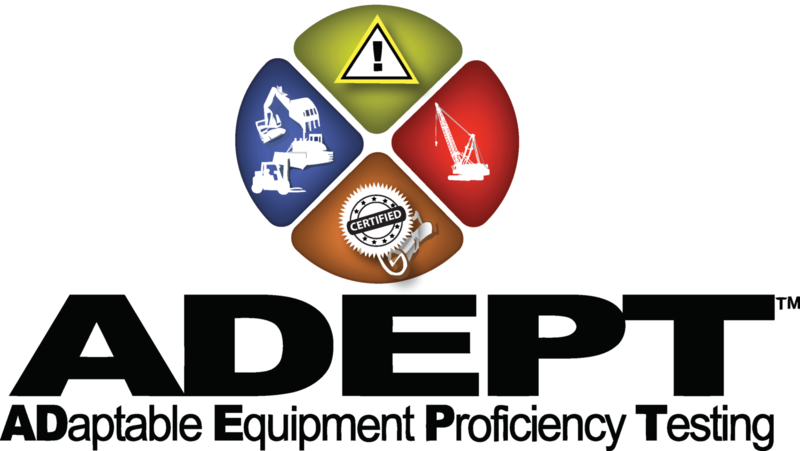 Our Certificate of Heavy Equipment Operations – Mobile Crane program is designed to give you both practical experience and classroom interaction when it comes to the fundamentals of crane operation. This includes swing cab as well as fixed-cab hydraulic cranes, and includes learning about things like crane set-up, lift planning, rigging and signaling, and load dynamics. Our experienced instructors will help ensure that you have the experience, knowledge, and skills necessary to succeed in this particular area. We work hard to make sure you receive an education that combines practical experience and supplementary knowledge to help create capable and well-rounded professionals who succeed. Our staff believes learning should be a great experience, tailored to students’ needs in order to give them the best chance of success possible – and it is with this in mind that we teach every program. Practical Experience: In this program, we will focus on providing our students with the kind of hands-on training and field experience necessary to help prepare them for future work. Three Week Program: Life is, in general, a busy time for many individuals. At Heavy Equipment Colleges of America, we recognize that not everyone can easily devote years of their life to pursuing higher education. Our programs are accelerated and can be completed in as quickly as three weeks. Military Benefits: We are proud to support and honor the brave women and men who fight for our country. We believe you should be able to use the skills you’ve learned while in the military and work them into a brand new To that end, our schools are approved for VA education so that you may get the training you need at an affordable price. Certification: The NCCCO program utilizes an outcome-based assessment approach. This provides an objective evaluation that meets industry and regulatory standards and accurately measures knowledge and abilities. NCCCO aims to enhance lifting equipment safety, reduce workplace risk, improve performance records, stimulate training, and give due recognition to the professionals who work in, with, and around cranes. Getting a certification at HEC prepares students with the entry-level skills that employers are looking for. The demand for skilled and knowledgeable crane operators is projected to continue to grow over the next ten years. According to the BLS as mentioned above, the field of crane operation stands to grow as much as 10 percent from 2014 to 2024. When you complete your training at HEC, you will be ready to join a growing field with a variety of job opportunities around the country. We are committed to offering our students a comprehensive and complete education. Our programs are designed for the professional who wants hands-on experience along with their classroom discussions, and will get you through the training period and into a job as quickly as possible. Are you ready to begin your new career? Contact us for more information about how we can help you learn the skills necessary for success.